Explainer: What is the the FOMC? What is the FOMC's primary role? How does the FOMC move interest rates? How often does the FOMC meet? Why are the FOMC's rate decisions issued around 2:15 p.m.? Why are some of the FOMC's rate decisions issued around 12:30 p.m.? How are the FOMC's rate decisions approved? How are Fed officials selected? How and why was the Fed created? The Federal Reserve's chief policymaking group has vast power over the finances of ordinary people, businesses and investors. The consequences of its interest-rate decisions range wide: from people's ability to get affordable loans to the price of cereal at the grocery store or gasoline at the corner station. Here's a look at the policymaking group, called the Federal Open Market Committee. 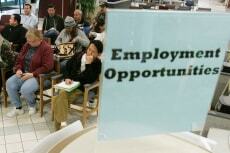 Its mission is to keep the economy, inflation and employment on a healthy track. When the economy weakens, Fed policymakers cut rates or keep them low. The idea is to cause people and businesses to borrow and spend more, which sustains the economy. But when the economy grows so fast that inflation becomes a threat, Fed policymakers will raise rates or keep them high. That makes it costlier for people to borrow. Spending and other economic activity will slow. Companies find it harder to raise prices. Inflation pressures ease. 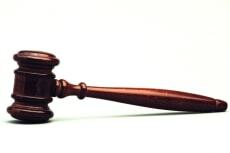 Its policymakers decide whether to buy securities. Doing so expands the flow of money into the financial system and lowers the Fed's key interest rate. Conversely, the policymakers could decide to sell securities. That would drain money from the system and tighten credit by raising rates. The Federal Reserve Bank of New York is responsible for conducting these operations. The Fed's Board of Governors in Washington, which now totals five members but at full strength has seven members. The president of the Federal Reserve Bank of New York. Four of the remaining 11 presidents of the Fed's regional banks. They serve one-year terms on a rotating basis. 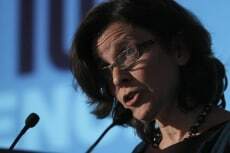 Here is Tuesday's roster of voting members: Fed Chairman Ben Bernanke, Vice Chairwoman Janet Yellen, and Fed Governors Elizabeth Duke, Daniel Tarullo and Sarah Bloom Raskin (pictured), all based in Washington; William Dudley, president of the Federal Reserve Bank of New York; Charles Evans, president of the Federal Reserve Bank of Chicago; Charles Plosser, president of the Federal Reserve Bank of Philadelphia; Richard Fisher, president of the Federal Reserve Bank of Dallas; and Narayana Kocherlakota, president of the Federal Reserve Bank of Minneapolis. 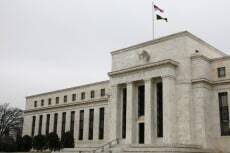 It regularly meets eight times a year in person at the Fed's headquarters in Washington. 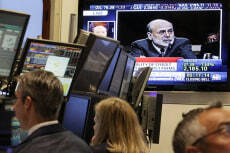 During the financial crisis, the FOMC also held emergency meetings, mostly by video conference. This year, half the meetings were two-day sessions, the rest one-day. All the regularly scheduled meetings last year took two days. That was because the Fed needed time to devise unconventional programs to fight the financial crisis. Traditionally, one-day meetings are more common. Each one-day meeting runs roughly five hours. Two-day meetings run about eight hours spread over the two days. Having a consistent time helps investors digest and react to the Fed's policy decisions. Issuing decisions when the markets are open gives Fed policymakers instant feedback from investors. 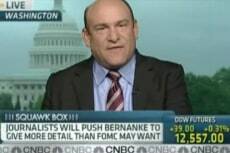 For the first time in the Fed's history, the chairman is conducting a series of regularly scheduled news conferences to discuss the Fed's forecast. 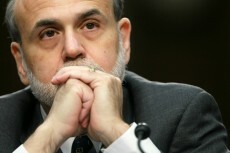 Bernanke's first was held Wednesday. 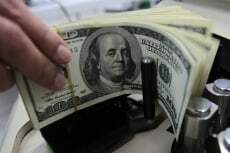 They will be held four times a year, after the Fed concludes its two-day meetings to update its economic forecasts on growth, employment and inflation. So, after those meetings, the FOMC's decisions are released earlier, around 12:30 p.m. Bernanke will then holds a news conference at 2:15 p.m. It's something that Bernanke's counterparts in Europe and Japan have done for years. 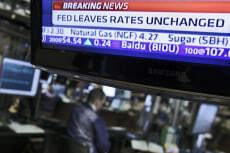 The Fed is hoping the news conferences will improve its communications with Wall Street investors and the American public. By a majority of the voting members, who now total nine. (At full strength, there would be 12.) That said, a close decision could spell trouble for the Fed chairman. 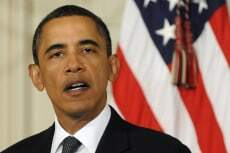 It would suggest he can't win over policymakers to his side and could leave him weakened. Most votes are overwhelming, however, indicating that Fed chiefs are typically able to build consensus. The president nominates the Fed chairman and his colleagues on the board of governors in Washington. They must be confirmed by the Senate. The presidents of the 12 regional Fed banks are appointed by each bank's board of directors, with approval from the Fed's board. A new law revamping financial regulation, however, bars bankers who sit on the regional boards from voting. Other local business people serving on the boards still retain their vote. This change was made to address concerns about potential conflicts of interest — having officials whose companies are overseen by the Fed in Washington picking the regional presidents. Congress passed the Federal Reserve Act in 1913. The legislation was signed into law by President Woodrow Wilson on Dec. 23, 1913. The Fed began operating in 1914. It was created in response to a series of bank panics that plagued the United States during the 19th and early 20th centuries. Those panics led to bank failures and business bankruptcies that roiled the economy.